Graduated in Natural Sciences (Genetics) from Fitzwilliam College, University of Cambridge, in 1991. Obtained a PhD at the University of Edinburgh, working in the MRC Human Genetics Unit studying the roles of homeobox gene family members (Msx genes) in vertebrate embryological development. Postdoctoral positions at the University of Edinburgh 1996-2002, studying the roles of cell adhesion molecules (Neurofascin) and transcription factors (Pax6) in vertebrate development and disease. Appointed Lecturer at Aberdeen University, 2002. Vice-chair of the Editorial Board of the journal British Birds. We study the genetic basis of normal embryonic development (mostly eyes and limbs) and the processes that can go wrong in humans. We also study stem cell activity in adults, focusing on degenerative disease and fertility problems. 1) The development and evolution of eyes. There are several projects on the go. a) The roles of a transcription factor, Pax6, in eye development and disease . We examine how mutations in Pax6 change the cell surface properties of mutant cells, and how this may impact on the eye. 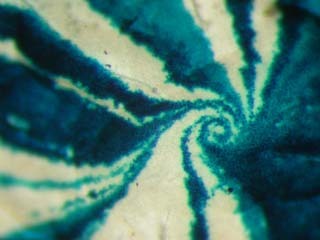 Figure 1: The eye of a PAX6+/- aniridic patient (photograph kindly provided by Dr K, Ramaesh, University of Edinburgh). 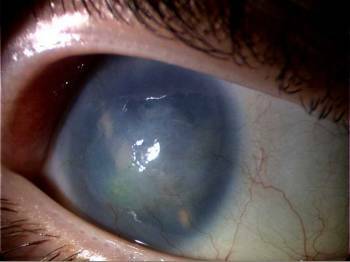 Note the corneal opacity associated with vascularisation. b) The development of eyes in true moles (Talpa). Moles live most of their lives underground and over evolutionary time we expect their eyes to degenerate. We study the Iberian Mole Talpa occidentalis, in which the eyes are permanently closed, and determine how the genetic pathways that underlie eye development are breaking down in this species. 2) The genetic control of axon guidance and epithelial cell migration. What pushes a cell or a growth cone from point A to point B? We examine the relative contribution of chemical and contact mediated guidance cues in vivo. Figure 3. Swirling patterns of cell migration in the corneal epithelium, visualised in eyes that are mosaic for LacZ expression. We study the genetic and environmental factors that underlie clubfoot - an extremely common birth abnormality (1 in 500 babies) for which virtually nothing is clear about the causes. Figure 4. 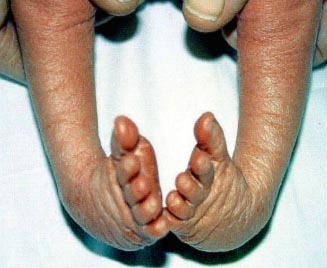 Human bilateral clubfoot. We are looking for motivated, funded PhD students for studies in any of the above fields, e.g. WELLCOME TRUST Corneal dysgenesis in the Pax6-mutant mouse – shoddy workmanship or sabotage? £245,000 from 1/9/04. 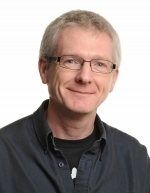 Dr James Alexander Mearns Trust Molecular basis of gene dosage effects of Pax6 mutants £51,660 from 01/10/07. TEACHING - BSc Programmes in Biomedical Sciences, Genetics, Human Embryology and Developmental Biology. The degrees are suitable for students wanting to learn about embryology, stem cells, bioengineering, reproductive biology, wound healing, evolution and cancer. Graduates can move on to jobs in academic and commercial jobs in embryology, clinical genetics, molecular biology and many biomedical fields. Are you thinking about a degree in Developmental biology? Have a look at this. Member of DEFRA-registered directory of experts. European Framework 7 Expert Reviewer. See JMC's recent paper published 15th March 2007 in BMC Biology. The paper generated much public interest and discussion e.g. 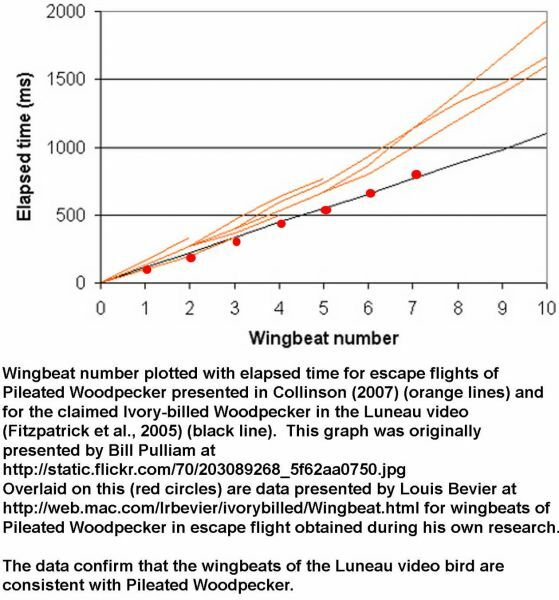 My argument is that the evidence for the rediscovery of the Ivory-billed Woodpecker in USA in 2004/5 is not proven, because there are features of the video of the bird in Arkansas in 2004 that are inconsistent with Ivory-billed Woodpecker, and the video is equally, if not more, consistent with Pileated Woodpecker. Cornell University, Laboratory of Ornithology, is preparing as rebuttal. Commercial Identification of Birds and other wildlife from forensic samples. We can identify bird species from feathers, feces, blood samples. Airplane Birdstrikes a speciaility. Wildife Crime - blood swabs from traps.